A Generalized Langevin dynamics can be tuned so that all the vibrational modes in a system of interest behave as if critically damped. This results in a more efficient sampling of the constant-temperature canonical ensemble. Interestingly, this tuning can be done in a a-priori fashion, without knowledge of the details of the system of interest, so that this optimal-sampling GLE achieves near-ideal sampling efficiency without the need of optimizing the thermostat parameters on the system of choice. 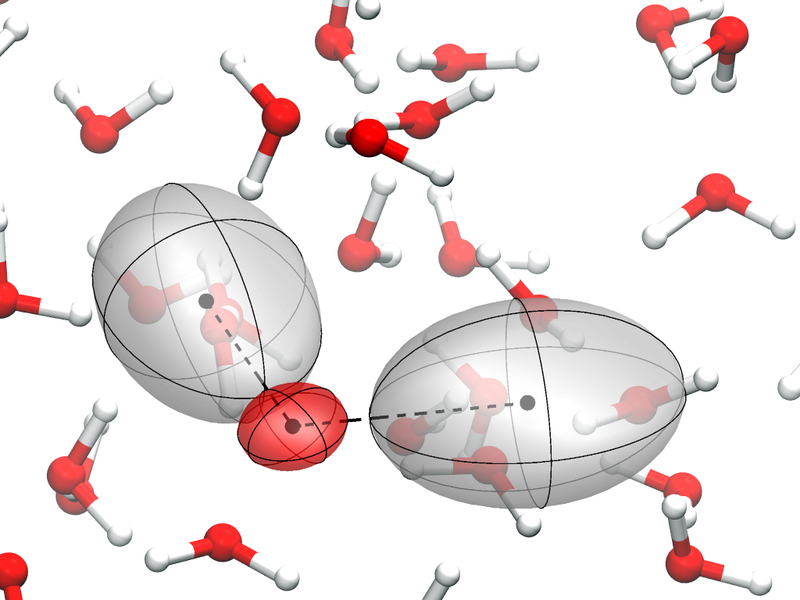 The quantum mechanical behavior of light nuclei (such as hydrogen) can have a dramatic effect on physical properties of condensed phase systems. 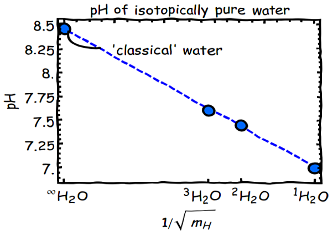 For instance, one can extrapolate the pH of isotopically pure waters to the infinite-mass limit, and estimate that a 'classical' water would have pH=8.5. An appropriate GLE can enforce a phase-space distribution consistent with a quantum harmonic oscillator without any significant overhead. This allows one to model nuclear quantum effects in a classical simulation inexpensively. A systematic improvement of the accuracy in strongly anharmonic problems can be achieved by combining this approach with path integral molecular dynamics (with a much lower number of replicas than for a fully converged PI simulation). The PI+GLE method can be improved significantly by also enforcing the centroid fluctuations to take on the converged value for a harmonic system and a small number of beads. This allows one to compute the quantum kinetic energy estimator very efficiently, which in turns enables the calculation of the amplitude of the particle momentum distribution. By computing also the off-diagonal terms of the kinetic energy tensor, and by performing appropriate running averages, one can also get in an automatic fashion the anisotropy of the PMD, hence improving the comparison with DINS experiments without resorting to open path integrals. By tuning the properties of the colored noise it is possible to realize a stochastic dynamics in which only the normal modes within a narrow range of frquencies are excited, without prior knowledge of the system's phonon spectrum.